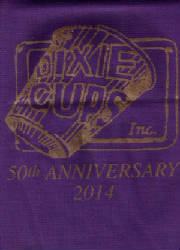 The Dixie Cups have the following items available for purchase. Payment is by PayPal; see below for details. 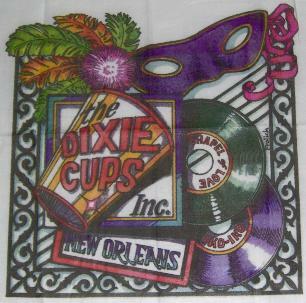 Hanky - Buy your hanky and come 2nd line to the chapel with The Dixie Cups! To order: After you have decided what you would like to order, and how many of each item (they all make great gifts! ), just head on over to PayPal where you can submit payment via credit card or bank transfer. Don't forget to list the item(s) you want in the "Note to recipient" field, and to provide your shipping address. Merchandise will be shipped after payment is received. 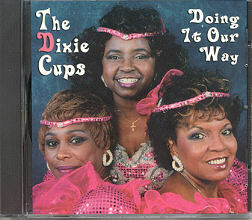 Please forward your payment to: thedixiecups@yahoo.com. To confirm your order, you may send an email to the above address (please put "Merchandise Order" in the subject field), including your shipping info and the items you're ordering. If possible, please send the email from the same email address you use for PayPal. 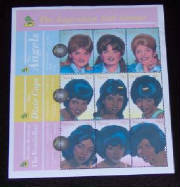 Note - All prices include postage. U.S. orders only at this time, please.